Coccolithophores are known for dominating other phytoplankton when there is a shortage of nutrients, such as nitrogen, in the water. We usually get an influx of nutrients when it rains, so I’m not sure how long the bloom may last. I’m told, however, that the white calcite shells, called coccoliths, can stick around after the organism has died, although they eventually sink to the bottom. 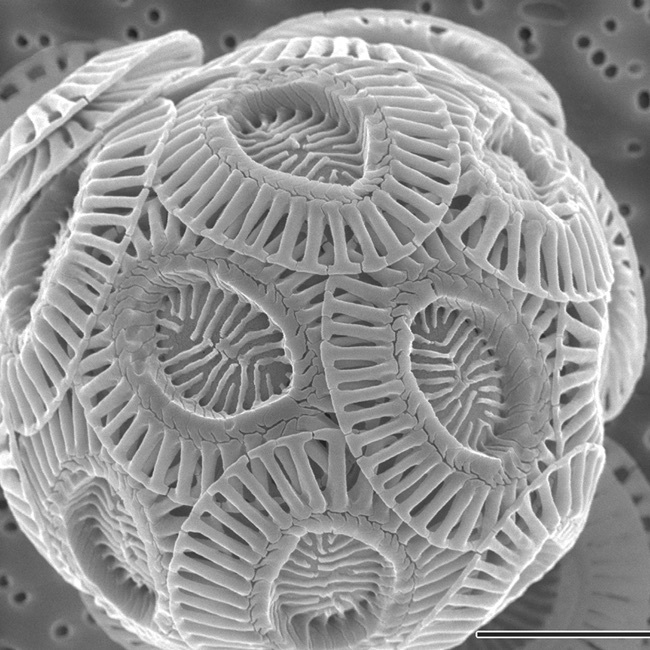 The species of coccolithophore in Hood Canal is believed to be Emiliania huxleyi, shown in the microscopic photo on this page. 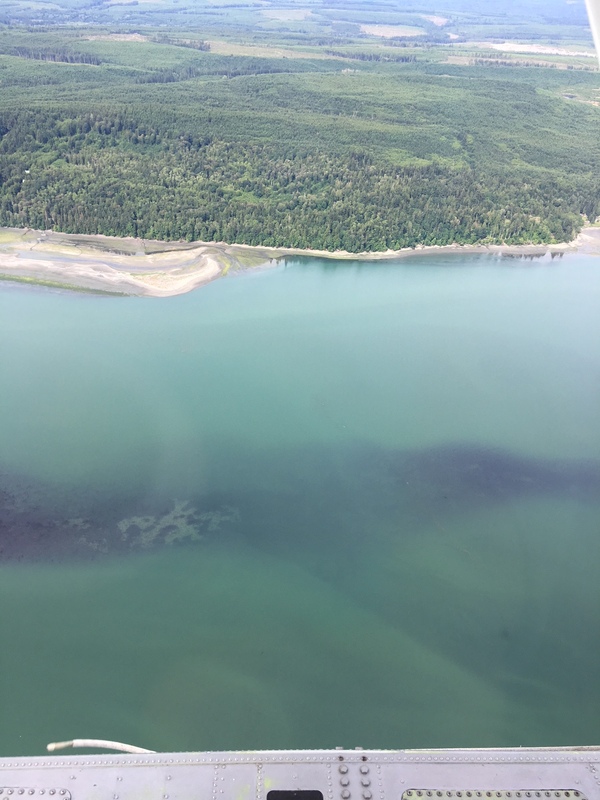 They don’t produce any known toxins harmful to people or marine life, experts say, and they can be eaten by small fish and larger zooplankton.